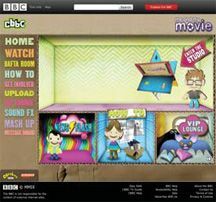 An online filmmaking community where you can learn how to make your own films, watch films created for CBBC competitions, download sound effects, make a mashup, and rate the work of your filmmaking peers. From the Children’s BBC. CampusCompare merges current data on more than 3,000 colleges, reviews, articles containing advice, financial-aid calculators and more. The Web site offers a variety of links to area maps, student reviews and “quick facts” and includes a tool that can predict a student’s odds of getting into any college in the United States.